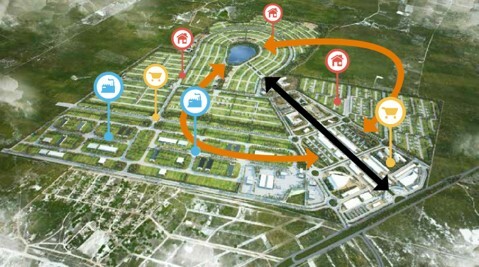 The new district of Croatà has been designed with innovative concepts of “intelligent city” or “smart city”. It is an interconnected network of systems, in which the individual is the center of everything, and the watchword is progress. What does this mean? Industrial areas, residential, commercial and institutional interconnected through urban planning. Infrastructure: roads, public transport and utilities, energy and water, designed for the present and plan for the future. The human element: social programs, health, education and public safety. The total area is 3.000.000 square meters. As part of the subdivision it will be built all the infrastructure works: roads, electricity networks, water supply and sanitation.